In a move this week that had been a long time coming, Enough partner organization Global Witness officially pulled out of the Kimberley Process Certification Scheme, or KP, due to its “refusal to evolve and address the clear links between diamonds, violence and tyranny.” The announcement was significant given the organization’s role as a key architect in the creation of the international diamond certification scheme and as an official observer since the KP’s launch in 2003. Global Witness cited the recent authorization by the KP to export diamonds from two companies operating in Zimbabwe’s controversial Marange diamond fields as a catalyst to its defection, although the organization had been considering pulling out of the international certification scheme for a couple years. Annie Dunnebacke, the organization’s senior campaigner, explained to the Enough Project that in the beginning the KP was extremely innovative and evolved a lot in its development process and early stages. It was instrumental in curbing the blood diamonds trade and ending conflicts in both Angola and Sierra Leone. These early accomplishments, however, have not been reflected as of late, Dunnebacke said. A current lack of political will, coupled with failure to adapt to new challenges, has crippled the process and enabled non-compliance with little or no punitive actions. The recent Zimbabwe decision is just one case that highlights some of the KP’s overall systematic weaknesses. The scheme has failed three tests: it failed to deal with the trade in conflict diamonds from Côte d’Ivoire, was unwilling to take serious action in the face of blatant breaches of the rules over a number of years by Venezuela and has proved unwilling to stop diamonds fuelling corruption and violence in Zimbabwe. It has become an accomplice to diamond laundering – whereby dirty diamonds are mixed in with clean gems. Global Witness, which was also part of the Kimberley Process Civil Society Coalition—a group of NGOs working to ensure that the KP is successful—is not the first organization to pull out of the KP. Two and a half years ago Partnership Africa Canada—which had also been part of the civil society coalition—defected from the KP for similar reasons. In an assessment of the KP in March, Smillie pointed out weaknesses of the process that derive from its original foundation and structure; specifically, the KP has no provision to close loopholes or to adapt the system to new realities. Additionally, since 2004 it has required a 100 percent consensus by members on all decisions made, which has slowed any sort of punitive actions on states for non-compliance to a stalemate. The diamond certification scheme’s objectives of supply chain transparency and accountability is similar to that of Section 1502 of the Dodd-Frank Act, a bill that addresses supply chain certification for conflict minerals in the Congo and neighboring countries. This legislation however, which Global Witness and the Enough Project have been instrumental in getting passed, takes a very different approach. The KP is built on a voluntary membership made up of more than 75 of the world’s diamond producing, trading, and manufacturing countries, and it depends on states to regulate one another. This has been problematic, however, because external political pressures have limited states’ motivations to punish or sanction one another. Furthermore, there is no provision in the KP to place supply chain responsibility with industry, which Dunnebacke described as one of the main weaknesses of the process. One other lesson that can be learned from the KP is that voluntary self-regulation does not work. “It [KP] has proved beyond doubt that voluntary schemes are not going to cut it in a multi-polar world where companies and countries compete for mineral resources,” Gooch said in the press statement. This valuable lesson has been applied to the Dodd-Frank legislation—which implements mandatory company regulations—and provides a baseline for alternatives or improvements to the KP. Moving forward on diamond certification, Dunnebacke emphasized that Global Witness’s defection from the KP is not at all a removal from the conflict diamond issue. 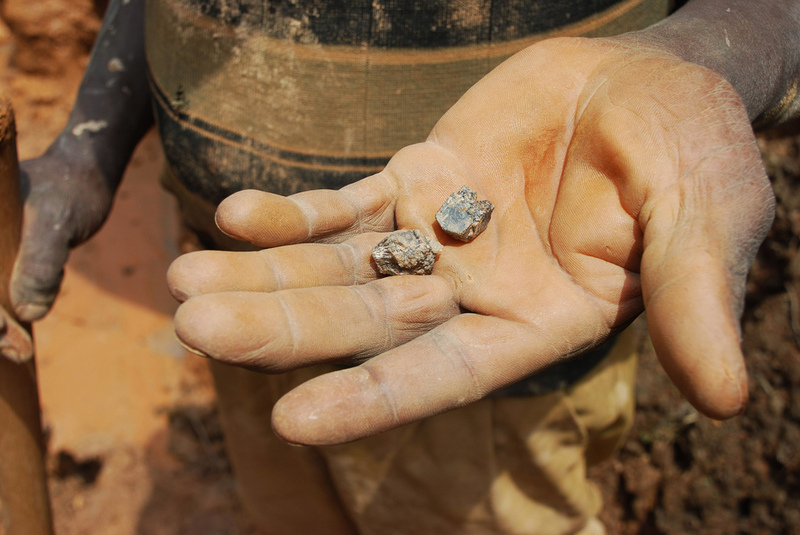 Global Witness will continue to work with its NGO partners and hopes to shift the debate away from the international diamond certification scheme to a more industry-focused approach.